In need of complete renovation. 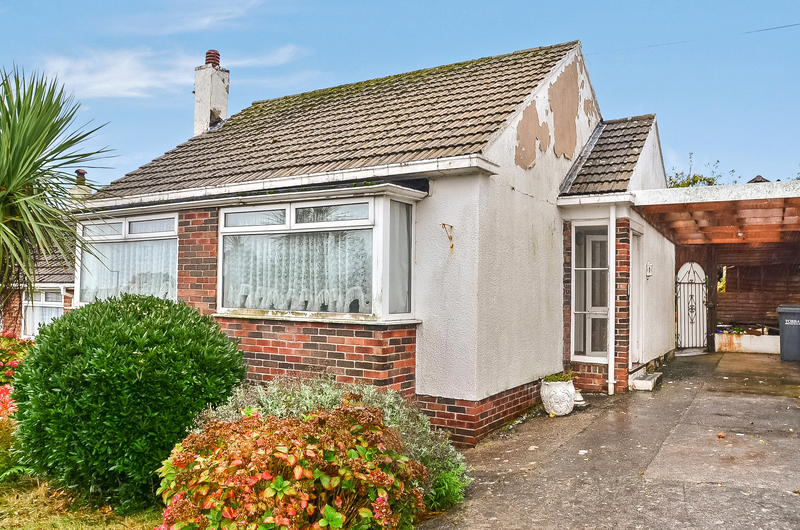 This two bedroom DETACHED BUNGALOW is situated on Wayside, enjoying an elevated location approximately one mile from Brixham town centre and harbour. The property is currently in need of modernisation and improvement but offers a blank canvas for those who are looking to update and put their own stamp on a new home. There is a conservatory positioned on the back which gives access to the rear garden whilst the lounge and master bedroom are both good sizes. The gardens are mainly laid with mature plants with the rear having a sea glimpse towards the town and the front having driveway parking. Gas fired central heating is installed. Wayside sits just on the edge of town with the Churston Village only a short way away and the bus stop on Lichfield Drive. If you have a property that would be suitable for auction please give us a ring on 01803 852773. The fees when selling by auction start from 0%!